DAVAO CITY — President Rodrigo Duterte on Thursday vowed to remove all commissioners of the Energy Regulatory Commission, who were appointees of former President Benigno Aquino III. He made known his intention as he was commenting on the suspension of ERC chairman Jose Vicente Salazar. 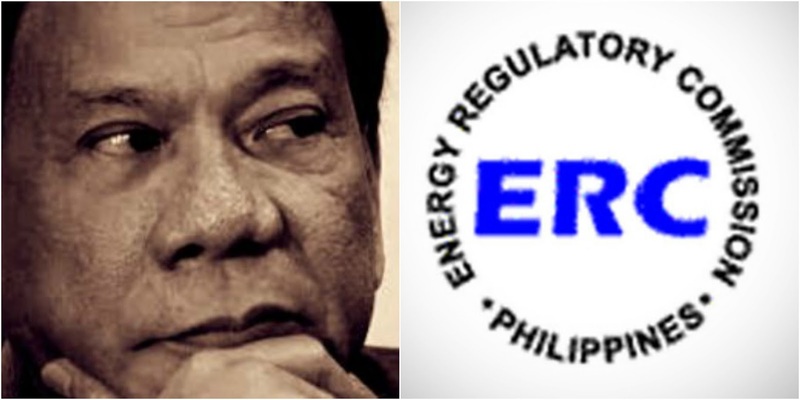 “I suspended ERC chairman Salazar because of corruption.I will eventually remove him. Lahat sila (All of them),” he said. Duterte then announced that he was serious in his anti-corruption campaign and that he had already dismissed 96 government officials and workers — mainly from regulatory bodies. He also spoke of removing Interior secretary Ismael Sueno and National Irrigation Administrator Peter Laviña over corruption charges.